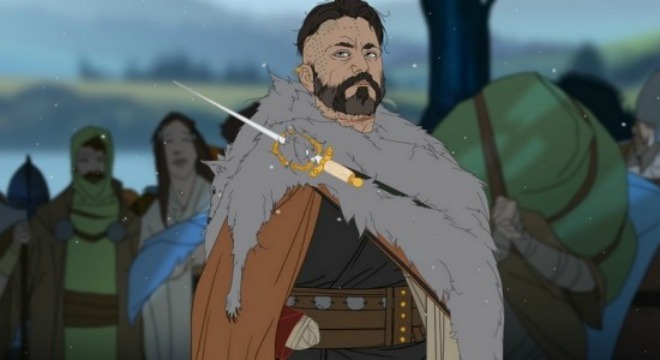 The Banner Saga concluded on a life-and-death decision, and now Stoic has returned to the Norse world of humans, Varl and Dredge where the only certainty is death. This sophomore effort picks up right where the action ended. Things have gone to the depths, and your decision-making abilities will be pushed until you’re questioning everyone’s motives, even your own. Between war tactics and keeping the morale high, this tactical RPG successfully moves the caravan in the right direction. 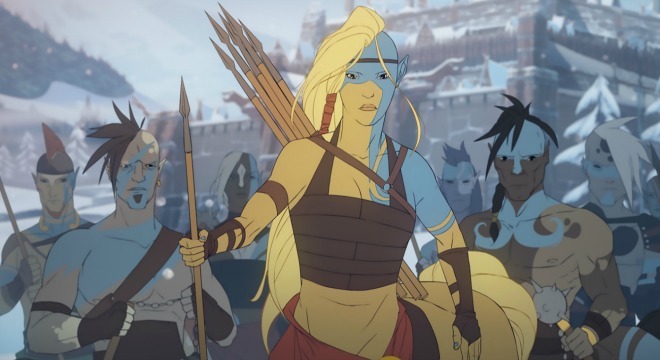 Theatrical – The Banner Saga 2 ups the ante in terms of story production. You’ll find yourself reading the majority of the story, but this time it’s framed with more distinctive voice acting and the occasional elusive cut scene. Allies will cry out and sing in foreign tongues on the battlefield praising your efforts, while enemy forces will condemn you with their dying breathe. Even the marching sequences are filled with fabulous set pieces and story-driven action. All these little nuances add up to make the total package a more satisfying experience. No right or wrong – This is a game about choices. How many people will make it to the end? What will be the fate of the world? Will you have a pretty flower? The answers to these questions are all the result of the big decisions you make. No matter your motives or intentions, you are guaranteed to make some bad calls. Some will become immediately apparent, while others will have a ripple effect that will echo though the entire game. The battlefields aren’t covered in red, but gray. Twists and turns – Many questions weren’t answered in the first game, and you’ll have many more go unanswered in the second. Yet, it is constantly filled with revelations and reveals. The narrative is captivating and never dwells on the same topic for too long, keeping things moving at a steady pace and never getting lost behind a wall of text. The end of the world is highly entertaining, with two parallel storylines to follow – one of which can be played through with two separate leaders – and enough lore and possibilities to outlast the world. Gridlock action – The turn-based tactics from the first game are back, but things aren’t as simple anymore: there’s a new race, the Horseborn, and fresh unit types for humans and Dredge. This means that mastering the battlefield will now take a lot of thought. The difficulty has spiked and keeping your warriors alive through waves of foes will take much more than brute force and high levels. The Banner Saga 2 isn’t the longest RPG, but if you don’t treat every battle like your last, you’ll spend quite some time in the training tent. 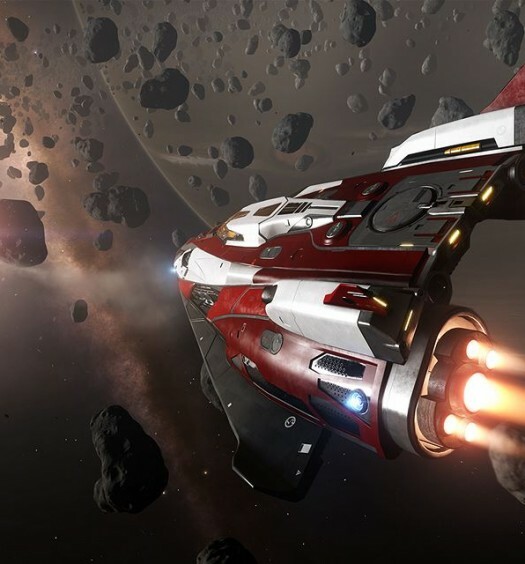 PC controls at heart – Once again the controls can be your worst enemy when navigating the battlefield. It’s clear that Stoic designed the game for players to point and click units rather than scroll through them with the directional buttons. This would be fine if selecting the wrong unit to attack wasn’t a consistent issue. Since you don’t have the ability to view the battlefield in 360 degrees, can only zoom in and out at units’ and health and shields can be hidden behind another unit’s if they are standing too close, though, you’ll commonly practice the way you move and attack issuing the final command. Photo finish – Pacing is consistent throughout – until you reach the end. Once that happens, the story turns on the turbo and makes a mad dash to the finish to wrap everything up and set the stage for the series’ third installment. The conclusion gets the job done, but there’s a mad panic up until the closing moments. The Banner Saga 2 builds on the foundation of its predecessor while forging a path for the future. This sequel introduces new ways to play but, unfortunately, keeps some of the troubles that plagued the first game. It’s a good sequel to what’s turning out to be a great series, though: the banner still flies high with a story worth being told weaved into it. The Banner Saga 2 was developed by Stoic on Xbox One. It was released on July 1, 2016 for $19.99. A copy was provided by Stoic for review purposes.